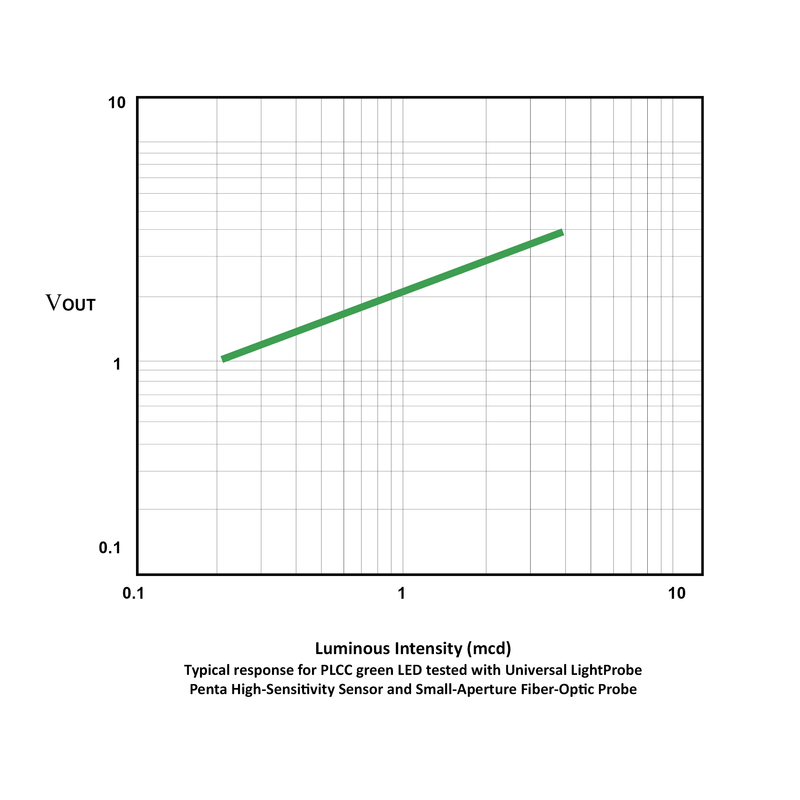 The Univeral LightProbe S2 Penta High-Sensitivity Sensor features the same popular built-in color binning as the regular S2 Penta Sensor, and is designed test extremely dim LEDs, providing an analog output for intensity, ranging from 0 to 4 volts, corresponding to the LED’s luminous intensity in millicandelas. The mcd-related output is consistent with most LED manufacturer’s specifications, eliminating the need for any conversion. The Universal LightProbe S2 Penta High Sensitivity Sensor will test finished-product LED displays (through-hole T-1 3/4 LEDs) in the range of 1 mcd to 15 mcd.